Billionaires and far right policymakers are pushing for school choice. I say they’re pushing for it because voters always turn it down. Every single referendum held on school choice in the United States has been defeated despite billions of dollars in spending to convince people to vote for it. But advocates aren’t discouraged that the public isn’t on their side. They have money, and in America that translates to speech. The Donald Trump administration is dedicated to making our public schools accept this policy whether people want it or not. But don’t think that’s some huge change in policy. The previous administration championed a lighter version of these market-driven plans. The main difference goes like this: Democrats are for charter schools and tax credits for private and parochial schools. Republicans are for anything that calls itself a school getting your tax dollars – charter schools, private schools, religious schools – if some charlatan opens a stand on the side of the road with the word “school”in the title, they get tax dollars. In all this rush to give away federal and state money, no political party really champions traditional public schools. Ninety percent of children attend them. In opinion polls, a majority of Americans like their local community schools. But like most things Americans want, politics goes the other way. Universal healthcare? Have Romneycare. Universal background checks on all gun sales? Nah. That sort of thing. However, what often gets lost in the rush of politicians cashing in on this policy is its racist roots. It was intended as a way to get around Brown vs. Board. In 1953, a year before that landmark decision, many white southerners felt it was vitally important to continue a segregated education. They deeply desired to continue having “separate but equal” schools for the races, yet the US Supreme Court seemed ready to strike that down. Enter Georgia’s Gov. Herman Talmadge who created what became known as the “private-school plan.” Talmadge proposed an amendment to the Georgia Constitution to empower the general assembly to privatize the state’s public education system. “We can maintain separate schools regardless of the US Supreme Court by reverting to a private system, subsidizing the child rather than the political subdivision,” Talmadge said. The plan goes like this. If the Supreme Court mandates desegregation (as it did), the state would close the schools and issue vouchers allowing students to enroll in segregated private schools. Fortunately, Talmadge’s plan was never implemented in Georgia. But it became the model for segregationists everywhere. In Prince Edward County, Virginia, the plan actually came to fruition – sort of. Ultimately the county refused to sell the public school buildings. However, public education in Prince Edward County was nevertheless abandoned for five years, from 1959 to 1964. During that time, taxpayer dollars were funneled to the segregated white academies, which were housed in privately owned facilities such as churches and the local Moose Lodge. The federal government struck down the program as a misuse of taxpayer funds after only a year, but even so whites benefited and blacks lost. Since there were no local taxes collected to operate public schools during those years, whites could invest in private schools for their children, while blacks in the county were left to fend for themselves. Since they were unable and unwilling to finance their own private, segregated schools, many black children were simply shut out of school for multiple years. In other states, segregationists enacted “freedom of choice” plans that allowed white students to transfer out of desegregated schools. Any black students that tried to do the same had to clear numerous administrative hurdles. Moreover, entering formerly all-white schools would subject them to harassment from teachers and students. Anything to keep the races apart in the classroom – and usually the entire building. Mays turned out to be somewhat prescient. Though desegregation efforts largely succeeded at first, in the last 20-30 years whites accomplished through housing and neighborhood segregation what they couldn’t legally enforce through outright school segregation. District lines were drawn to minimize the number of blacks at predominantly white schools and vice versa. Moreover, since funding was often tied to local property taxes, whites could legally ensure black schools got less resources than white schools. And with standardized tests constantly showing students at these schools as failing, policymakers could just blame the school instead of what they’d done to set the school up for failure. 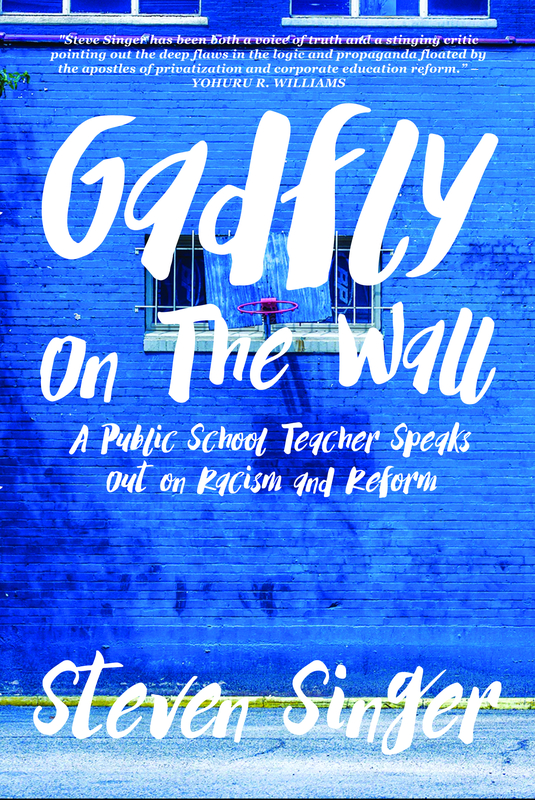 Today racist policies undermine much of the structure of our public schools. We should acknowledge this and work to peel it back. We need to ensure all schools are equitably funded, that class sizes are under control, that all students get a broad curriculum and the services they need. But in the absence of a new, robust desegregation policy, our schools will always be in danger of racist programs that can easily select which students to benefit and which to ignore. Instead of doing this hard work, we’re engaged in resurrecting the school choice policies of the deep South and universalizing them across the country. School vouchers are extremely similar to Talmadge’s private school plan. The main difference is that vouchers don’t close public schools outright, they simply allow them to be defunded and ignored. With universal school vouchers, public schools often become the de facto holding area for whichever group of children the private schools refuse to accept or who can’t afford private school tuition even with the vouchers. Charter schools are built on the Prince Edward County model. They’re administered as private institutions yet claim to be somehow public. As a result, they’re allowed to bypass many of the rules that protect students at public schools from discrimination and fraud. In effect, they’re largely unregulated. In the modern age, that means they can be incredibly substandard for long periods of time and no one knows or intervenes. The kinds of scandals perpetrated at some charter schools are simply not possible at traditional public schools. Some charters close without notice, have facilities used as nightclubs, involve taxpayer funds used for non-school purposes such as apartments for mistresses, the purchase of yachts, etc. In both cases, charters and voucher schools often cater to mostly one race rather than another. That increases segregation at both these facilities and traditional public schools. But voucher schools can go a step further. They can even put racism on the curriculum. Supporting the racial order is often what’s actually being taught at private and religious schools. They are infamous for revisionist history and denying climate science. What’s less well-known is how they often try to normalize racist attitudes. -Michael R. Lowman, George Thompson, and Kurt Grussendorf, United States History: Heritage of Freedom, 2nd ed. (Pensacola, FL: A Beka Book, 1996), p. 219. These are claims that are uncritically being taught to children at many voucher schools. If this were happening only at private schools, it would be troubling that racists were indoctrinating their children in the same hatred and bigotry of their parents. However, that we’re actually using public money – and planning to expand the amount of public money – to increase the racism and prejudice of the next generation is beyond troubling! It’s infuriating! School choice does not enhance civil rights. It is inimical to them. It is part of a blatant policy to make America racist again. We cannot allow the Trump administration and any neoliberal Democrats who quietly support his ends to undo all the progress we’ve made in the last 60 years. The bottom line is this – voters don’t want school choice. It does nothing to better childrens’ educations. It is a product of segregation and racism and even in its modern guise it continues to foster segregation and racism. If we care about civil rights, social equality and democratic rule, school choice is something that should be relegated to the dust heap of history. It’s time to move forward, not look back fondly on the Confederacy, Jim Crow and segregationism. School Choice and Vouchers have a racist history. How do the good folks in the Normandy School District fit into this story? Recall that when given the opportunity to attend schools outside of the Normandy School District, a quarter of all the students in the district left. When the Missouri tried to stuff these students of color back into the public school district that they designed for them (the Normandy Public School District was 97% African American, 92% on free or reduced price lunch in 2013-14), those families sued to have the right to choose schools in a different school district and won. Did the court make a racist decision when it decided these children of color should be allowed to choose? What exactly is your point, Teaching Economist? If we can convince minorities to accept situations where they may be treated unequally it somehow isn’t racist? Is it not fraud if someone cheats you out of your money but you don’t realize it or complain? Wasn’t it Harriet Tubman who said, “I freed a thousand slaves. I could have freed a thousand more if only they knew they were slaves”? My point is that there are a significant number of school districts and school catchment zones that have racist roots. The Normandy Public School District being 97% African American did not happen by accident. Forcing those students to remain in the racially segregated school district that the citizens of Missouri constructed for them does not reduce racism, it perpetuates it. I did as a simple question in the hope that you would answer it. Do you think the court should have ruled as it did to allow the students the choice of attending schools outside of the Normandy Public School District or do you agree with Missouri that the students should have been forced back into the Normandy Public School District? I side with the students and the court. What about you? The problem is not whether people should be allowed to decide to leave their school for a better one, the problem is that there is a better on to move to. The school districts are carved out so that the blacks are in mostly black schools and the whites are in mostly white schools and that’s the way the whites want it. They don’t want the poor black kids being bused into their schools, unfortunately because the white areas are those of higher income they get more tax dollars to run their public schools and so their schools are better equipped and the kids there get a better education. If all the public schools received the same resources based on need and not economic status of the people living in the district it would be a better situation. If zoning lines were drawn where the schools were more diversified and kids from different areas went to school together and were provided buses to get to and from school, it would be better. None of this is done which is why the schools on poor areas are so bad and the people want to be allowed to chose a better school, if they had a decent school to attend in the first place there would be no need to find another school. Teaching Economist, can’t you see that all this talk about choice ignores the real problem here? We need to fix the problems with our public schools – not run from them. Making a whole new school run privately will not solve the problems. But it will ensure that we ignore the needs of students of color. You’ve got it wrong. It is this focus on choice that will perpetuate racism. Why is that so hard to see? Your idealism in favor of market-driven strategies has blinded you to simple reality. In no other area of your life when encountering a problem would you immediately jump to the conclusion that you need a whole new system to solve it. When your car doesn’t work, you don’t immediately throw it away. You diagnose the problem and if it’s fixable, you fix it. When your doctor says you’re sick, you don’t immediately start digging your grave. You diagnose the problem and then fix it. However, in this instance people like you want so badly to privatize public education that they use any problems with public schools as an excuse to privatize with zero proof that it will be better. It’s the behavior of a cult, not a rational human being. Informative. Thanks for sharing your research.